I've got flowers blooming all over my yard (and weeds too!). I guess the colors of spring are getting into my brain since my designs are looking very colorful. 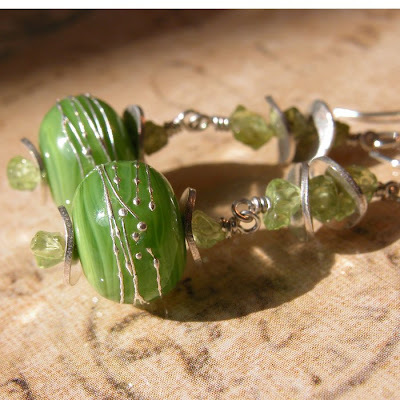 Here are 2 new earrings sets for sale on ArtFire. I enjoy making collections of items for sale on ArtFire and on Etsy. Sometimes the collections I make even hit the front page of those handmade selling sites. 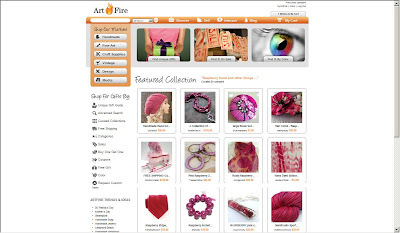 My latest to hit the front page on ArtFire was "Raspberry Beret". Another design using some of my Tucson finds. Larimar is such a beautiful stone! These are available at Gili Anna's in La Jolla. Fun with wire wrapping dangles!